A world-class equestrian event promoting the legacy, heritage and talents of the mule. For five days, every Memorial Day weekend, more than 30,000 fans from around the country (and the world) converge on Bishop for this colorful and fun festival. It is a tradition that began in 1969 as a send-off event for local packers and outfitters to get the summer season going. Now over 700 mules with their trainers, riders and packers attend 14 mule shows that include equestrian disciplines such as: Western, English, youth, barrel racing, gymkhana, packing, shoeing, chariot racing, team roping and driving. The result is a tremendous display of human and animal skills. Among the many highlights of the weekend is a parade along Main Street that is believed to be the country’s longest non-motorized parade. All parade floats and entries must be animal and/or human powered and, naturally, mules are the predominant mode of transport. It’s a Wild West test of skills presented and participated in by real working cowboys (girls are cowboys too) in a truly authentic western town. The event features excellent entertainment in the form of a country music concert and lively country dancing. There is a wonderful arts and crafts fair that showcases local talent and artisans from near and far. 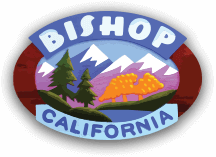 It’s a festival that brings this close-knit community together in celebration of the traditions and values that make Bishop the truly unique and special place that it is. Families! This event is for families and folks who want a change of pace, which might include fast and furious of a very different sort. Racing, roping, jumping & driving will have you applauding and cheering for more. Then there’s the chance for a quiet stroll among the many arts and crafts stalls. Stop to chat with the artists who live and work here. If you thought the traditional ‘West’ was no longer, this picturesque town and this fun-filled event will take you back to a bygone era. But bring your smart phones, tablets and cameras and talk, text, & Instagram your old-fashioned vacation. There’s free WiFi all along Main Street. Weather in Bishop, a high desert mountain town is very unpredictable in late spring / early summer when Memorial Day comes around. We’ve experienced Mule Days celebrations in gloriously hot, sunny days and cool nights when shorts and T-shirts are the preferred dress code. But we’ve also had chilly winter-like weather when we bundle up in our big jackets and bring hot coffee and sweet treats to the sidewalks of Main street while watching the hardy souls, many in traditional dress, walk and trot their mounts in the parade. Most exciting of all is that the weather can change rapidly from one day to the next. So be prepared for the full gamut of seasons in the space of 5 days and your stay will be enchanting and exhilarating. The main Mule Days events and expo are held at the Tri-County Fairgrounds in Bishop. The entrance is on Sierra Street and we must warn you that there is no physical address for the fairgrounds. So GPS or Google mapping won’t give you anything good to follow. Go to the directions page on the Mule Days website and heed their instructions. Parking during the event is well marked and volunteers will help usher you to a suitable spot. The parallel streets to east and west of Main Street have numerous parking lots behind the main street stores. 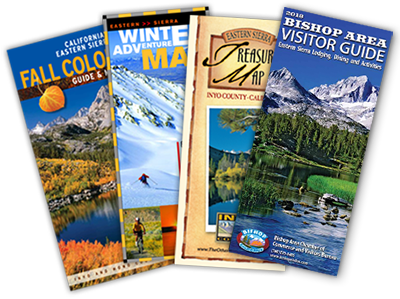 The arts and crafts fair is held at the nearby Bishop City Park at 688 N. Main St. That’s an easy one to find and you’ll also find the Bishop Visitor Center there and the knowledgeable folks behind the counters can give you more info, maps and directions to all of the great things to see and do in Bishop. Please obey all speed limit signs as you enter town. On a busy Mule Days weekend you’ll find the roads occupied by more than just wheels. Pedestrians will utilize crosswalks and you may come across a mule-drawn wagon or mounted cowboy making a trip through a local fast-food drive through window. Definitely a photo op if there ever was one! Visit muledays.org to purchase tickets, check out show schedules and read more about this annual event. You can also reach the Mule Days office by telephone at 760-872-4263.